John’s practice encompasses both private law and public law proceedings relating to children. He is experienced in the most complex cases and he regularly appears in high profile and complex matters. His experience (in both the private and public fields) includes cases involving sexual abuse, the death or injury of a child (including very complex medical evidence), intractable parental disputes, press injunctions, human rights applications, adoption and the inter-relationship with the judicial review jurisdiction. John represents all parties in such cases. He is experienced in lengthy and complex trials. In private proceedings John is experienced in proceedings with intractable issues, internal and external relocation of children and serious and complex allegations. John is often instructed in the most difficult cases requiring expert inter-personal skills. John is experienced in media management and applications for press reporting restrictions orders. This experience has included some of the most high profile cases in recent years and has included the “Baby P” litigation and the “Little Ted’s Nursery” scandal. Such issues often include both the national and international media. John regularly advises local authorities on issues of policy and is often asked to draft such policies within a team of professionals. He enjoys such collaborative work. John appears in Judicial Review proceedings that include issues of family law. Such issues include local authority policy, educational issues and the inter-relationship between the limits of the Court’s jurisdiction and the role of the local authority. John has been continuously recommended by Chambers and Partners as a leading junior in the field of children law for a decade. John does undertake direct access work. Has expertise in both public and private children proceedings. He possesses great experience of handling complex cases concerning abuse and relocation matters at the most serious end of the spectrum. He is particularly effective in matters concerning allegations of fabricated illness, risk assessment and medical issues. Has expertise in both public and private children proceedings. He possesses great experience of handling complex cases concerning abuse and relocation matters at the most serious end of the spectrum. He is particularly good at matters concerning fabricated allegations, risk assessment and medical issues. Has expertise in both public and private children proceedings. He possesses great experience of handling complex cases concerning abuse and relocation. Equally adept at dealing with both public and private law children cases. His expertise includes serious physical abuse and child abduction matters. He is respected by his peers for his work ethic and tenacity. Deals with both public and private law proceedings, including cases of serious or fatal injury or sexual abuse, or those concerning challenging medical evidence. Represents children, parents and local authorities, among others, in complex and high-profile care cases, and enjoys a fine reputation for his work on matters pertaining to death, injury and sexual abuse. 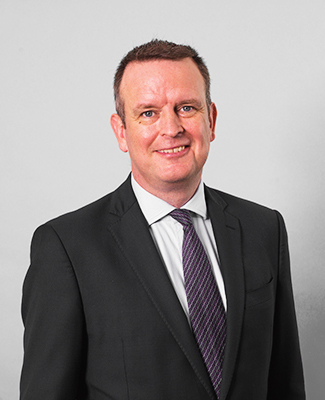 The “charming and well-prepared” John Tughan is a well-respected specialist in care proceedings and private law matters such as contact and residence. John Tughan “wastes no time in getting to the gist of the matter,” and stands out for his impressive public law children practice. He represents children, parents, interveners and the local authorities in the most complex matters. EWHC 140 (Fam),  2 FLR 1312, Hedley J.